Knee protectors are of main 3 types. Knee pads, knee sleeves and knee braces. Different sports need different type of pad in terms of material density and flexibility. Continue reading for getting detailed information about different types, materials & sports specific knee protectors. What is the difference between knee pad, sleeves and braces? 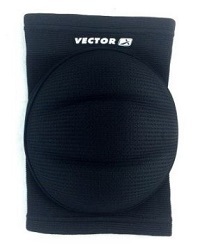 Knee pads – extra thickness over kneecap area. 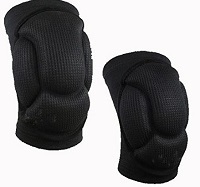 Knee braces – Used for protecting damaged knees from more risks and fixing it. There are different types of knee pads available in market. Some focusing on injury Reduction, some for knee support or increased Performance. Using knee pads is a good practice while playing volleyball, basketball, hockey, football or any other sports that may cause a sharp blow on your knees. Danger is that, knees have very little protection own its own. And risk increases if knees are on bend position while hitting. While buying a knee pad choose one which is comfortable, and durable. 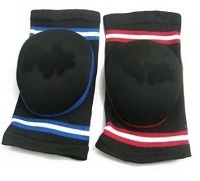 Knee pads are available from different brands in variety of colours, sizes and designs. Black is the most commonly used colour. Why should you wear knee pads for volleyball/basketball? While playing volleyball we may take quick lunges or dive for ball. If knees are not protected it will result in an injury. Pads will also give a good support for knees by reducing chance of overextending the knees. And will increase your overall energy and confidence because of increased comfort. And ultimately will improve your performance. And as a final note preventing injuries is way better than spending a lot of money & time on health-care. Commonly used while playing football, hockey, volleyball, basketball, cycling, skating etc. Following are the list of few best knee pads available online in India. Can be used for protection of knees while exercising, weight lifting(straps and wraps for weight lifting), practising martial arts, playing badminton, tennis, dancing etc. following are the best knee sleeves.